Muslim people feel the most satisfied with their lives because they feel more ‘oneness,’ or connection than people of other faiths, a new study suggests. And when the researchers divided their 67,562 survey respondents by religion, Muslims felt the greatest sense of oneness. Research from a number of disciplines, including religion, philosophy and psychology have suggested that varying types of connectedness lead to an over-arching sense of well-being. What is happiness, and how do we get it? It’s one of the ‘big questions’ of psychology. We don’t know, we won’t know and it probably wouldn’t be universally applicable even if we did. But Dr Ed Deiner, a professor emeritus of psychology the University of Illinois at Urbana-Champaign, is famous in academic circles for managing to make a scale for happiness – or the ‘Satisfaction with Life Scale’ (SWLS). Dr Deiner’s scale consists of five questions that are meant to surmise how subjectively satisfied someone is with their life as a whole. Each question gets a ranking for how strongly the participant disagrees or agrees, on a scale of one to seven. The higher you score, the more satisfied with your life you are (supposedly). A number of studies, including a 2016 Pew Research Center survey, have suggested that people who describe themselves as ‘highly religious’ are more likely to say they are ‘very happy’ with life. The vast majority (95 percent) of these highly happy Americans were Christians: Protestant, Catholic or Mormon. But spirituality – regardless of affiliation with a specific religion – is also closely linked to life satisfaction, well-being and, in cancer patients, optimism. Psychologists have landed on the idea of ‘oneness’ as the common thread running through spiritual people of all faiths. The so-called ‘father of psychoanalysis,’ Sigmund Freud thought that all humans craved to return to the ‘oneness’ of being in their mother’s womb, connected in every way to her. More contemporary psychologists have also put forth oneness as a personality trait that distinguishes people who seek and make more connections with others, the environment and their notion of a higher power or God. And all of these concepts of oneness seem to correlate with greater life satisfaction, which, in turn, is linked to better mental and physical health outcomes. Researchers at the University of Mannheim in Germany wanted to parse out how oneness affected life satisfaction across religions. So, they surveyed over 67,000 non-students (using student samples is thought to limit and skew data on feelings of ‘oneness’ and self-reported life satisfaction) of unclear nationalities about their religious affiliations and used crafted questions to assess how connected and fulfilled these adults felt. 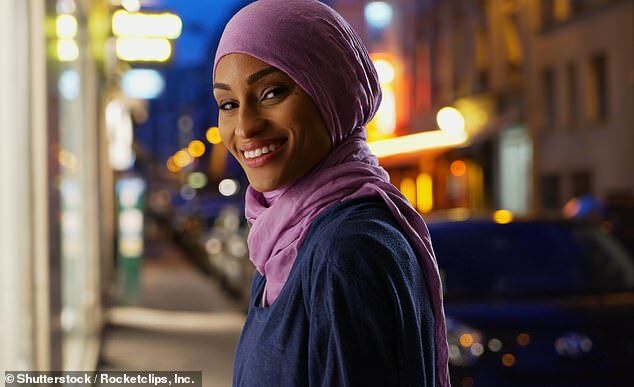 Among all groups, Muslims were most likely to believe that they were connected to something larger than themselves, according to the new study, published in the journal of the American Psychological Association. Second to Muslims, Christians that considered themselves neither Catholics nor Protestants reported the greatest average oneness beliefs, followed by Buddhists and Hindus. Atheists felt the least connected to others or a higher power. What’s more, the mathematical model the researchers devised confirmed a strong link between oneness and life satisfaction. ‘[The results] clearly indicate that the causal direction of the association between oneness beliefs and life satisfaction is in line with the assumptions derived from the literature: oneness beliefs are a significant determinant of life satisfaction over time, whereas there is no reversed effect of life satisfaction on oneness beliefs,’ study author Dr Laura Marie Edinger-Schons, a University of Mannheim psychologist, wrote. Buddhism’s goal is Nirvana – which is, in fact, reached by dispelling suffering, which the religion considers to have its roots in the craving for attachment. Hinduism’s core belief is in truth. But the single most important tenet in Islam is that of ‘Tawhid,’ the belief in the ‘invisible oneness concept of monotheism,’ or of one unifying god. So, it’s perhaps no surprise that Muslims feel greatest sense of oneness. It’s difficult to quantify how the spiritual sense of ‘oneness’ and connection changes our brains and bodies, but we do know that strong social connections encourage everything from longevity to better immune systems, greater empathy and less anxiety and depression. And perhaps a sense of spiritual connectedness comes with the same. ‘This study broadens the knowledge on the psychology of religion, revealing not only the average level of oneness beliefs in the different religious groups but also exploring the effect of these beliefs on life satisfaction while controlling for the effect of religious affiliation,’ the researchers wrote.